A GAMER'S WIFE: Who's Afraid of the Big Bad Lightning Wolf? Who's Afraid of the Big Bad Lightning Wolf? When I first started playing Monster Hunter Portable 3rd (before Dexter was born), I found that the game threw out easy quests at first so that new players can get used to the gameplay. Given that it was my second Monster Hunter game, I confidently sped through those tutorial hunts like a longtime skier returning to the slopes. So, on some banal mission to kill 10 slow-moving sea-cows, I'm casually gathering some honey in a scenic little pasture... when all of a sudden, a giant, super-fast lightning wolf-beast barges in!!! K was peacefully sitting on the couch next to me watching TV, and witnessed firsthand my reaction: shrieking at the top of my lungs, jumping out of my seat, and frantically bashing buttons in a witless manner. He then proceeded to laugh his head off because, come on, who actually gets frightened by a pretend monster in a video game? In contrast, when K sees a new baddie enter the screen, he thinks "Cool!" and charges at it full steam. Me? I both figuratively and literally run in terror because, even in a digital world, I don't want to die! "Watch out, honey! There's a Zinogre in the bathroom!!" Yup, that's right. 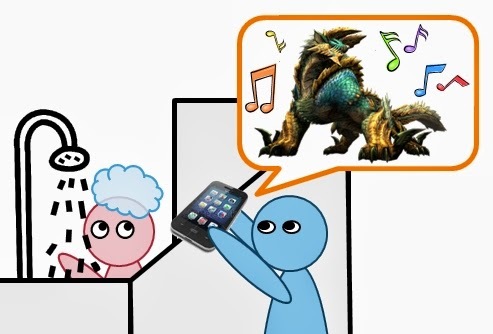 While I was defenseless and naked, the love of my life decided to prey on my fears and play the Zinogre battle music from his smart phone. Luckily for him, I was laughing too hard to give him the sound beating he deserved. Thank God I have a husband who will forever keep me young. 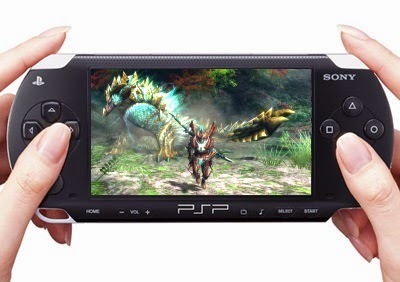 :P Anyway, if you'd like to hear/see a 2-minute clip of the oh-so-cool Zinogre, check it out below. What's the funniest prank someone has ever played on you, and how did you end up getting back at them?